For those who follow the Wiccan way, a few touches of Wiccan home decor are a welcome balm to sooth their soul. We offer a wide selection of different pieces so that you can bring a touch of spiritual awareness and bewitching style to your home. Better yet, you do not have to be dedicated to Wicca to enjoy these pieces. Anyone can see them and favor them exactly for what they are! All of the items found here are quite intriguing. 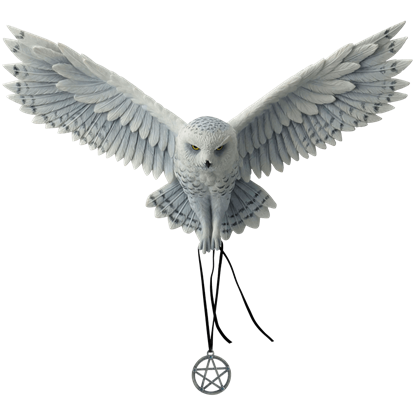 Here you will find a range of mystical accents like spirit boards, dream catchers, and scrying bowls, as well as more ambience-focused touches like Wiccan candleholders, incense burners, and oil warmers. All of them feature a common thread of design, though, and that is a tie-in with natural designs and the greater spiritual forces in the world. 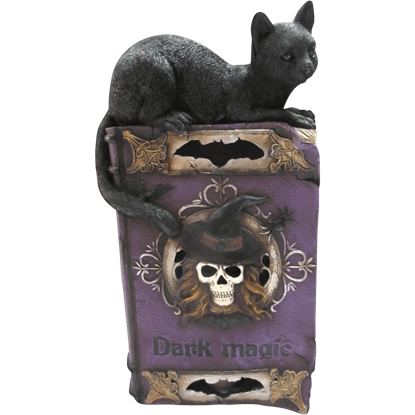 As such, many of the Wiccan home decor pieces in this section, whether it is a spirit board, candle holder, classic cauldron, or a scrying bowl, feature pentagrams in their decoration or include elements from the natural world, like leaves, vines, and more. Some also feature the classic triple goddess, the maiden, mother, and crone, occurring often in Wiccan tradition. A touch of intriguing design has never hurt decor before, and with the Wiccan home decor section here, now you have the chance to bring some unique, spiritual accents into your home and, at the very least, make your guests a bit more aware of the powers in the world that surround them. The Arachnafaria Ouija Board by Anne Stokes offers a dark fairytale twist on the mysterious Ouija board. Whether used as a unique decor piece or as a spiritual tool, this gothic spirit board will make an unforgettable impression. Illuminated by the rays of a setting sun, a snowy owl flies through a forest. This wintery scene is depicted by Anne Stokes in our Awake Your Magic Art print. 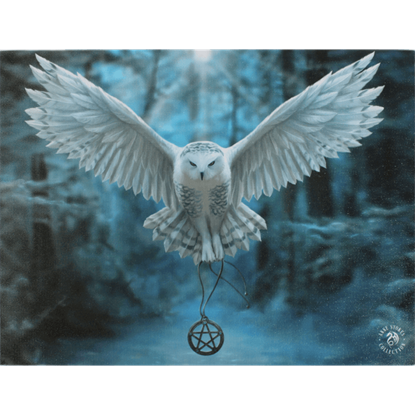 With a pentagram clasped in its talons, to what destiny does the owl fly? A ghostlike bird glides silently through the moonlit sky. An unearthly hush overtakes the forest. 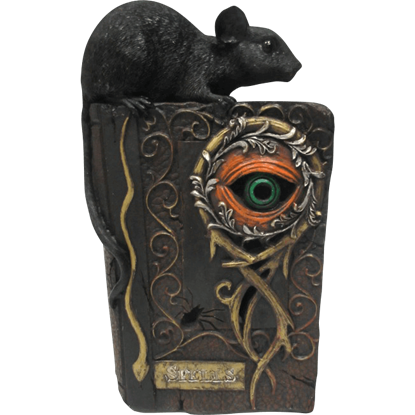 The Awaken Your Magic Wall Plaque By Anne Stokes presents a 3D rendition of a painting designed by a highly acclaimed fantasy artist. 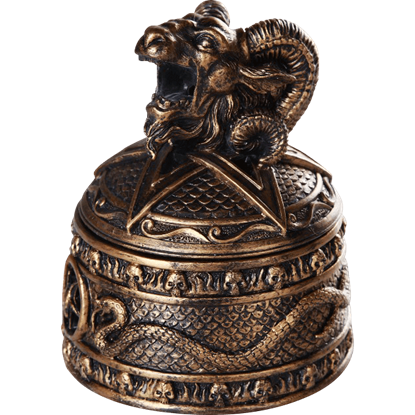 Based on the pagan idol the Knights Templar were accused of worshipping and the Sabbatic Goat image drawn by Eliphas Levi, the Baphomet Incense Burner features the head of a screaming goat and several pagan and occult symbols. 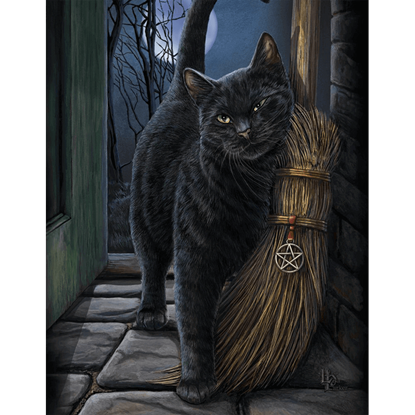 Let the eyes of this black cat captivate you in Lisa Parkers Bewitched Art Print. 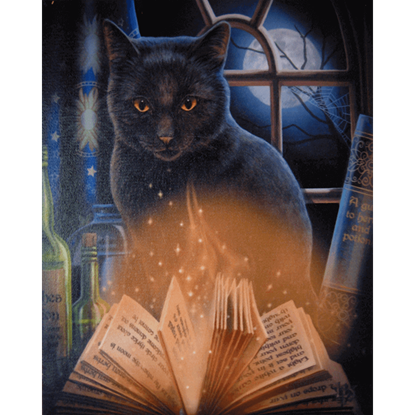 In the glow of ancient magic, the mysteries of the spell book are unlocked. You too can bring a touch of magic home with this piece of fantasy art. A book of dark magic is very dangerous. The book that is shown in the Book of Magic LED Light is so dangerous that the witch shown on the cover of the book has a skull for a face! Do not try any spells from this glowing book! Beware the witches book of spells! The eye on the cover sees what you do and the magic that leaks from its cover can harm you if you are not careful. The image that accompanies that warning is that of the Book of Spells LED Light. The four arms of this elemental cross reach to the four seasons, the circle encompassing all in its celestial arc. 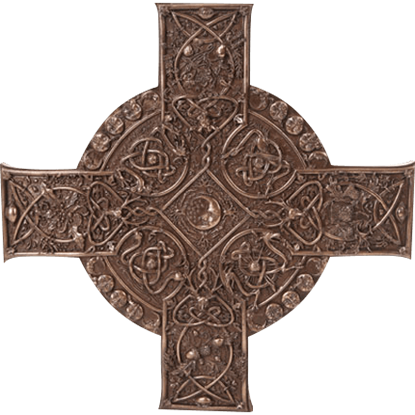 The Bronze Elemental Celtic Cross Plaque shows off an intricate mix of details designed by artist Maxine Miller. 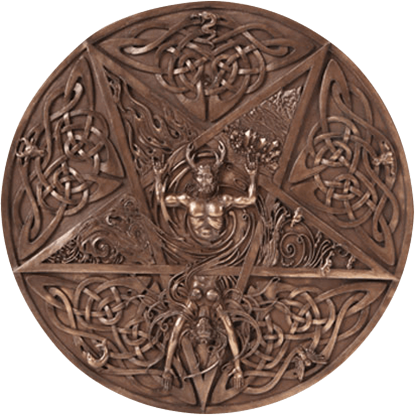 The Bronze Horned God and Goddess Elemental Plaque uses many potent symbols of protection for the home. This detailed pentacle displays Celtic knotwork and animal spirit symbols around the edges of the five-pointed star. The Wheel of the Year represents the eight seasonal celebrations of pagan tradition throughout the year. 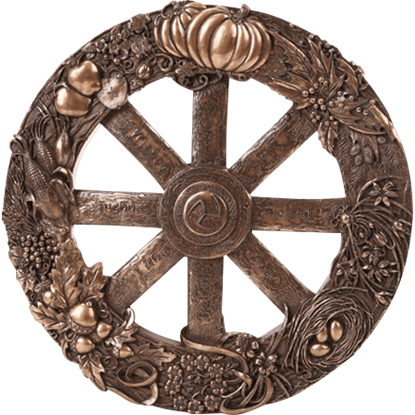 The Bronze Wheel of the Year Plaque illustrates these festivals with seasonal icons decorating the outer edge. 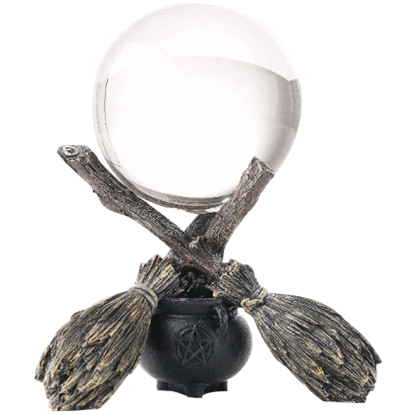 Bring clarity to your readings with this Broom and Cauldron Gazing Ball. This finely detailed gazing ball set is built with a cold cast resin base supporting a clear glass crystal ball that is ideal for decoration or divination. No witch is really complete without her black cat or broomstick. Our Brush with Magic Art Print by Lisa Parker depicts these two essentials in fantastic detail, making it an excellent addition to any fantasy home decor.